Dyscalculia is a condition which affects the ability of an individual to acquire arithmetical skills. 21 + 1 + 2 = 24! For a person with Dyscalculia, this calculation can make perfect sense. Equally, 59 + 1 can be 510, or 11 - 4 = 8 (counting back starting from 11). 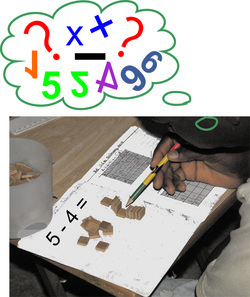 Persons with Dyscalculia have difficulty understanding numbers and do not 'see' mathematics. They also find it difficult to read the clock, or to follow directions.